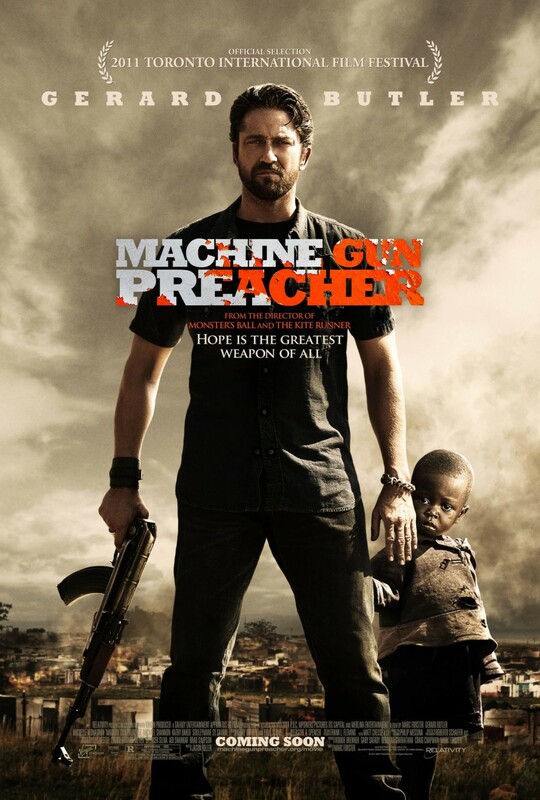 This movie is a portrayal of the true-life story of a once imprisoned drug addict who turns to the Lord and finds himself in the Sudan rescuing child soldiers. The movie was so impacting on so many levels. Gerard Butler did a great job playing Sam Childers. I so resonated with Sam's spiritual transformation and was so inspired by his courageous mission to the children of the Sudan. I also felt for him as I watched him go through a period of disillusionment where he questioned how God could allow the gut-wrenching horrors and atrocities that he saw in Africa. The movie is not for the faint of heart. It deserves the 'R' rating. I think that some folks may be a bit uncomfortable with the violent force that Sam used to protect the children housed in the orphanage that he built in the Sudan. I struggled with that too and wondered what I would be willing to do to protect the most innocent among us. The best moment for me was when one of those innocents told Sam: "If we allow ourselves to be full of hate, then they've won. We must not let them take our hearts." I really liked the movie and, on a scale of ten, give it ★★★★★★★★. Will Pot Prohibition be Repealed? You Christians eat your own.